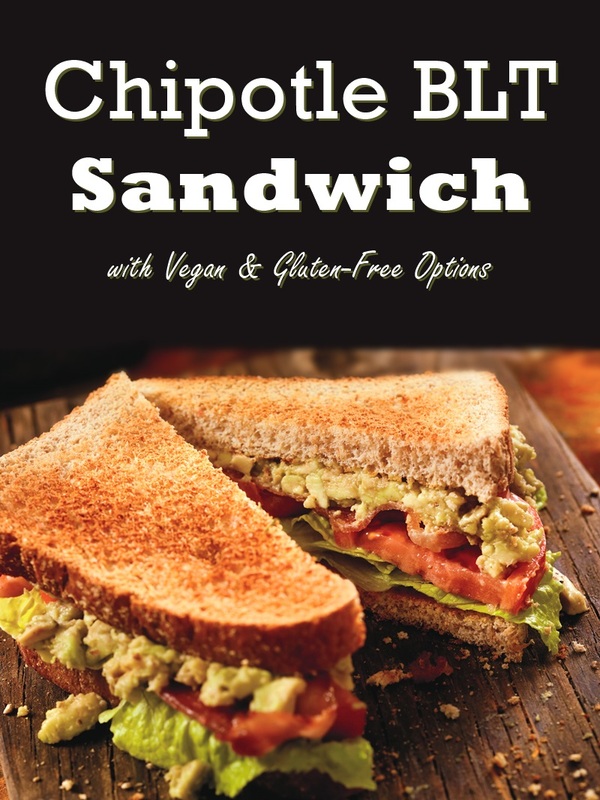 You are at:Home»Dairy-Free Recipes»Chipotle BLT Sandwich with Avocado, Of Course! Chipotle BLT Sandwich with Avocado, Of Course! I’m one of those odd people who never really had a thing for bacon. Nonetheless, classic BLTs were my favorite summer sandwiches when I was a kid. Something about the combination of crisp lettuce, juicy tomatoes, creamy mayo, and salty bacon on toasted whole grain bread was blissful. And yes, always on whole grain bread. These days, I like to add avocado, and I can’t resist a good flavored mayonnaise. So I was immediately smitten by this chipotle BLT sandwich recipe. Did you know that mayo is naturally dairy free? It’s an emulsion of oil and eggs. If you confuse eggs with dairy, you aren’t alone. 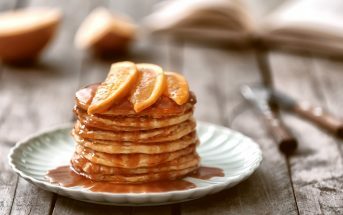 See this post: Are Eggs Dairy? However, some aiolis or other flavored mayonnaises could have dairy added. So be sure to always read the ingredients and verify the manufacturing processes, if needed. For egg-free mayonnaise options, there are now many vegan mayos on the market. My good friend Caroline swears by Just Mayo, and I have used Follow Your Heart’s Vegenaise on many occasions. For the bread, I love lots of little grains and seeds in there. So I either go with the grain version of my homemade Whole-Grain Bread or I look for a dairy-free brand like Dave’s Killer Bread. Tony usually opts for sourdough, which is easier on his stomach and almost always dairy free. Nevertheless, many store-bought breads do contain dairy, so always read the label. 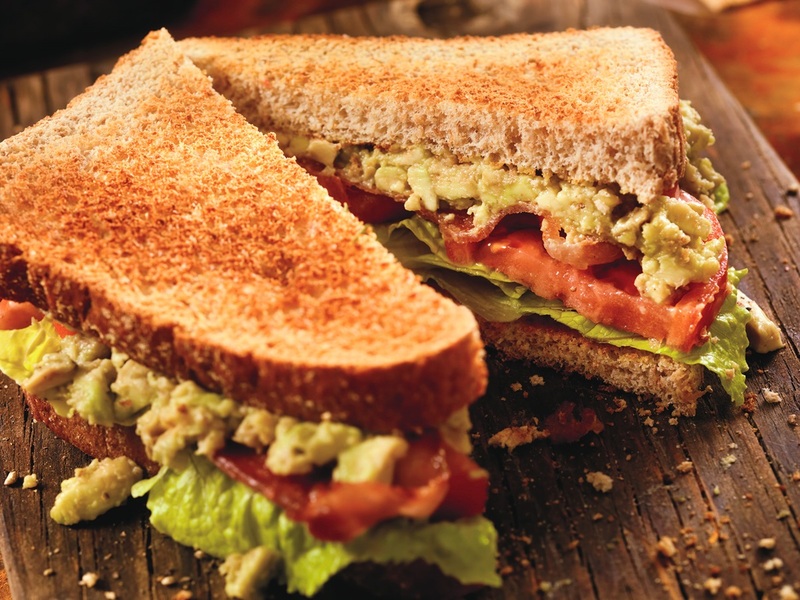 This Chipotle BLT Sandwich recipe with photo was shared with us by the Grain Foods Foundation. 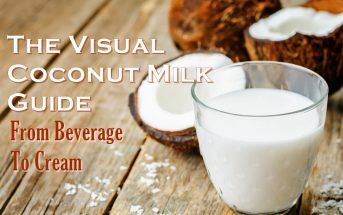 By ingredients, this recipe is dairy-free / non-dairy, optionally gluten-free, nut-free, peanut-free, and optionally soy-free. 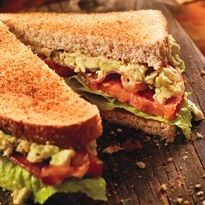 For an egg-free and vegan chipotle BLT, you can swap in vegan bacon for the maple bacon and use my vegan mayo tips above. This delicious twist on a classic is easy to customize. See my tips for egg-free, vegan, and whole-grain in the post above. In small bowl, whisk together the mayonnaise, adobo sauce, and lime juice. Season with the salt and pepper. Spread some of the chipotle mayonnaise on a slice of toast and top it with the lettuce, tomato, avocado, bacon and second slice of bread. If you want some extra sauce, spread it on that second slice, too!